The Santa Clarita community is invited to make their reservation for an upcoming “Lunch and Learn” event and Open House set to be held by Nola Aronson’s Advanced Audiology next week. Monday, the very first “Lunch and Learn” of the planned series centered around hearing is scheduled at a Santa Clarita restaurant, with participants expected to have a meal and hearing screening while discussing a topic related to hearing health. “We would like to educate people about communication and hearing,” said Aronson in an earlier interview. Anyone interested in participating is encouraged to call Advanced Audiology to make their required reservation, as there are only 20 seats for the event. Then Tuesday and Wednesday, Advanced Audiology will host an Open House at their office, featuring information on new hearing technology, giveaways, discounts and more. 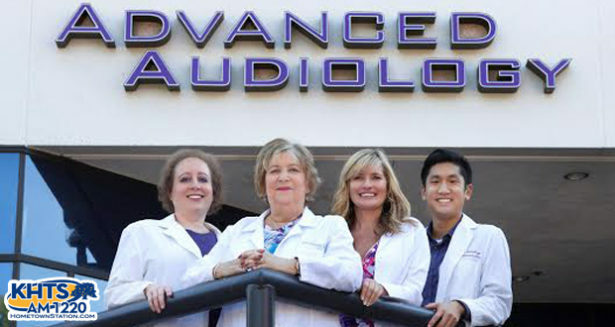 Free hearing screenings are continuing to be offered at Advanced Audiology, with last year’s 1,500 screenings done prompting a new goal of giving 2,018 free hearing screenings in Santa Clarita in 2018. Also in her giving spirit, Aronson rewarded two lucky residents with three-day, two-night vacations for calling in after listening to her talk on the KHTS show “The Senior Hour” last month.